Facebook is in the news again, drawing ire for making a switcharoo right under users noses. No communication (or perhaps one note that was ignored by most everyone), no buy-in, no reason. Just make a change and expect everyone to accept it and move on. Yet despite Facebook being held up as an example of what not to do, companies use the same approach to make organizational changes all the time. Some might say that’s akin to not using a change methodology at all, but it might really be the most common one used. It’s not that managers don’t think a change will have an impact on people. No, instead they make an assumption: Once people get used to it, they’ll get over it. And why not? After all, although many complain, almost no one will quit using Facebook because of this supposed transgression. Some don’t care, some gripe but won’t do anything, and others will take action to undo what Facebook did. And then they’ll continue using the system. Ignore it. They may do it while you’re looking, but the moment you stop paying attention, it will go back to the way it used to be. Or, they may not do it at all, to test to see if you’re serious. Falsely comply. People may do the thing you ask, but the desired result of the change will not be realized because people do it half-assed, or simply add it to the old thing you really wanted them to stop. Freeze. The Just Get Over It method of change requires people to rely on their own resilience to incorporate changes into their routine. Some are more resilient than others. Those that aren’t may have trouble coping, letting performance slip. 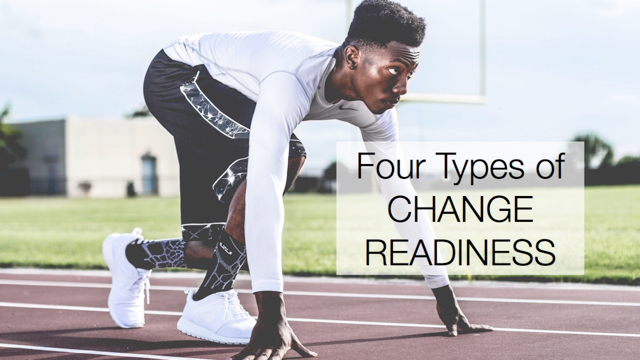 No, even if you think the change you are implementing should be as simple as turning on a new system or passing out a new procedure, successful change – that which truly gets to the desired end result – requires an approach that considers the deliberate steps you can take to help people incorporate the new thing fully into their jobs. If you think when it comes to change that people should just get used to it, well, just get over it. If you are looking for a step-by-step approach to designing and influencing change in your organization, you’ll find it in the Influence Change at Work™ Toolkit. To add insult to change injury many organizations, and leaders within, think stakeholders should just, “learn it on their own”. Something as innocuous as the Microsoft ribbon dropped in people’s laps while many other changes are going on can lead to your bullets in order. Ignore, falsely comply, then freeze. Or freeze, then falsely comply while working toward just ignoring. In my example stakeholders not only have not changed they are now worse at their work than pre-change.